We often ignore our necks, and that is a huge mistake. It is a super sensitive area and ages real quick. But, you need not worry much about it because there are many neck firming creams available in the market that can prevent the skin on your neck from sagging. However, there are too many over-the-counter neck firming creams out there, and it becomes tough to choose the best among them. What should you do then? Simple, you just have to go through this article and decide for yourself. We have put together a list of the best neck firming creams that will get the skin on your neck back on track. 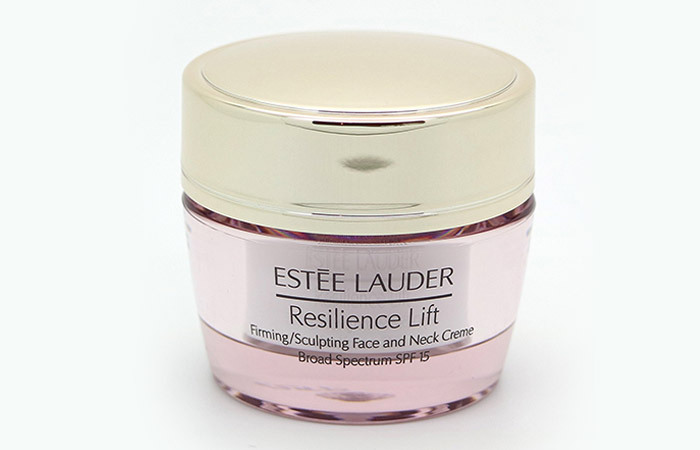 Estee Lauder Resilience Lift Firming Neck Cremeoffers a 24-hour skin lift and smoothens the lines and wrinkles on your neck. The product also makes your neck skin shiny, and in just four weeks, you will notice significant changes in the way your neck looks – smoother, younger, and firmer. 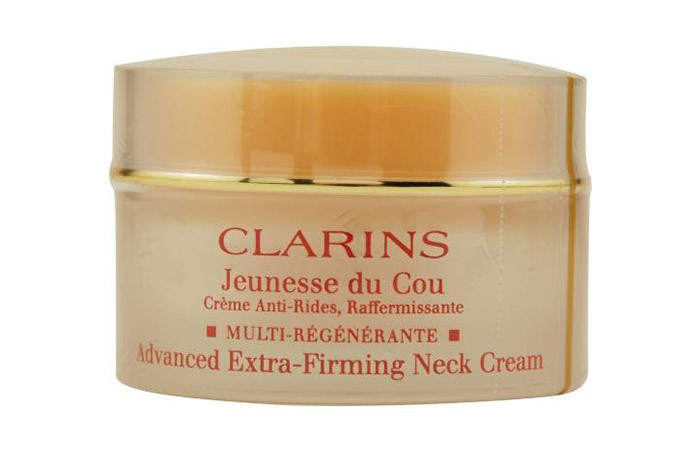 Clarins Extra-Firming Neck Cream makes the skin on your neck smooth and firm, without making it oily. It instantly penetrates into your skin and helps the skin regenerate. The cream protects you from pollution and free radicals. It contains sunflower auxins and green seaweed, which reduce the wrinkles on your delicate neck. Can be applied as a day and night cream. 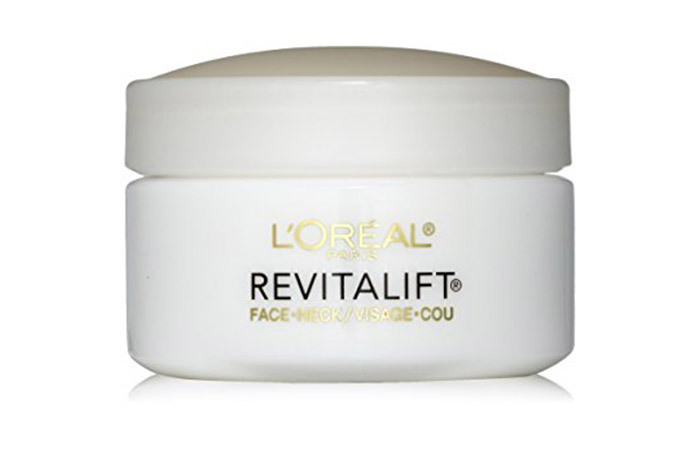 L’Oreal Paris RevitaLift Neck Moisturizer is a neck cream that makes your skin firm and smooth within four weeks. The cream contains Pro-Retinol A and the trademarked ingredient Stimuplex. The product tightens your skin and reduces wrinkles. It profoundly moisturizes and rejuvenates the skin on your neck. Less product for the amount. 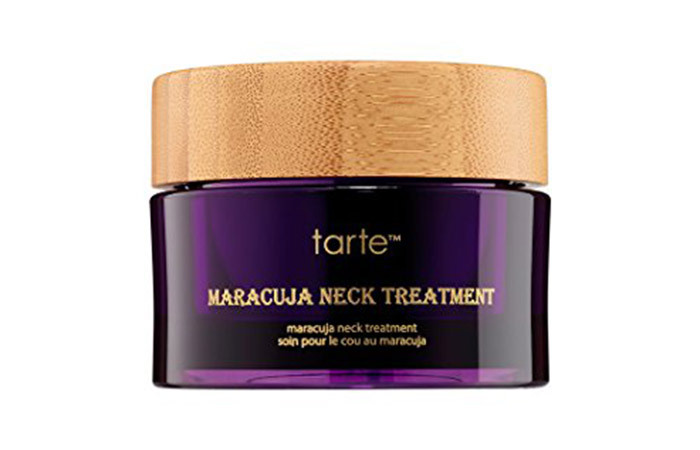 TarteMaracuja’s neck firming treatment improves the way your neck looks. The product contains the miraculous maracuja oil and sodium hyaluronate that regenerate cells and improve skin elasticity. The cream works on fine lines and wrinkles, and eradicates them. It feels smooth and silky on the skin and has a spa-like feel to it. Chanel Le Lift V-Flash is an anti-aging weapon that keeps your neck firm and eradicates sagginess. You can see results with the first application itself, and the effect lasts for 8 hours. Using the product makes the skin on the neck visibly lifted and radiant. The product contains a highly firming ingredient called 3.5-DA, which makes all the difference. Makes for a good pre-makeup application. 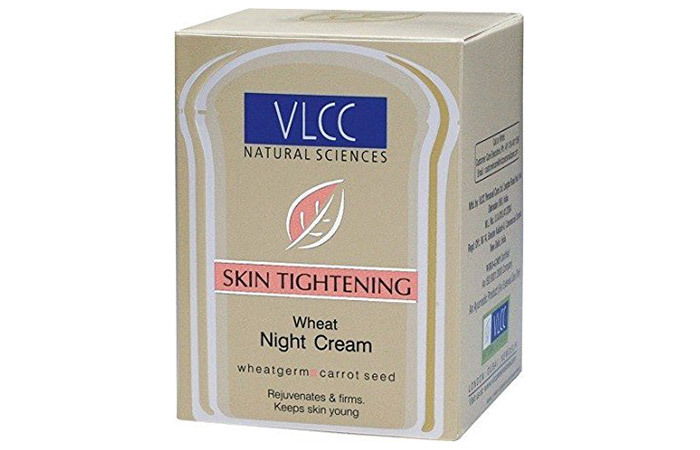 VLCC Skin Tightening Wheat Night Cream is an herbal product that works best when applied before sleeping at night (after cleansing and toning). Massage the product into your neck to nourish the skin and reduce the wrinkles. The product contains wheat germ extract, sunflower, carrot seed, and almond oil, all of which tone and soften the skin. 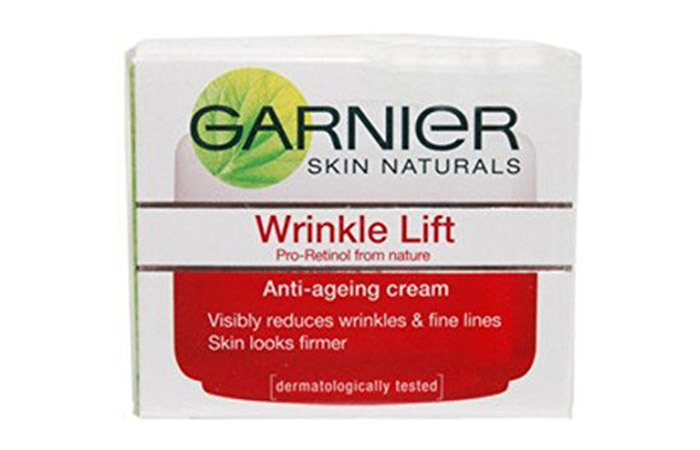 Garnier Wrinkle Lift is one of the best anti aging neck firming cream as it contains cherry and bilberry. It works great on dry skin as the texture of the product is creamy and immediately hydrates the skin. Ginger, which is an active ingredient in the cream,provides a host of benefits. Can get greasy for oily and combination skin types. 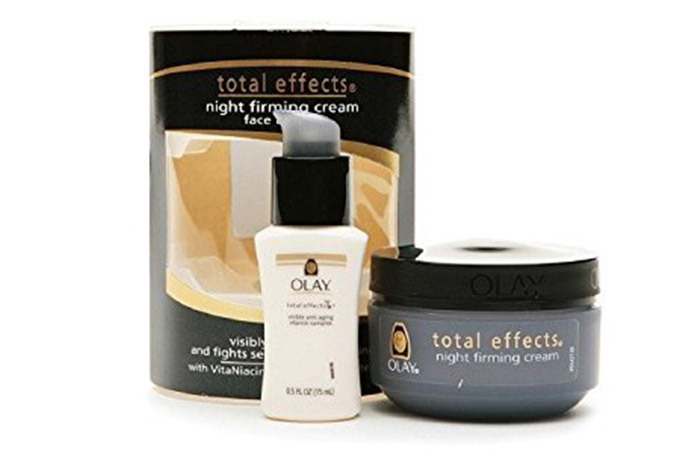 Olay Total Effects Night Firming Cream for face and neck is a one-in-all product that fights various signs of aging like fine lines, dull skin, loss of firmness, etc. The product tones your skin and improves its texture. It contains vitamins that nourish your skin cells. 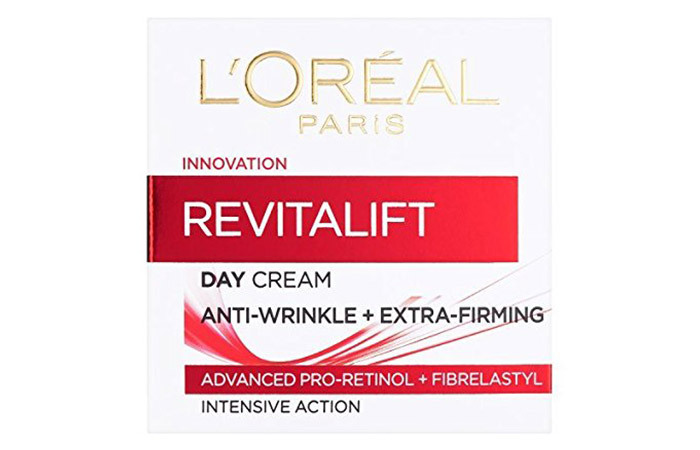 L’Oreal Paris Dermo Expertise Revitalift Day Cream is an anti-wrinkle and neck firming cream that contains skin enhancing ingredients like Par-Elastyl and Bio-Vinyl. The cream makes your skin look firmer and younger, and smoothens out the fine lines. It is very hydrating and keeps your neck well-nourished and moisturized. Gets absorbedquickly into the skin. 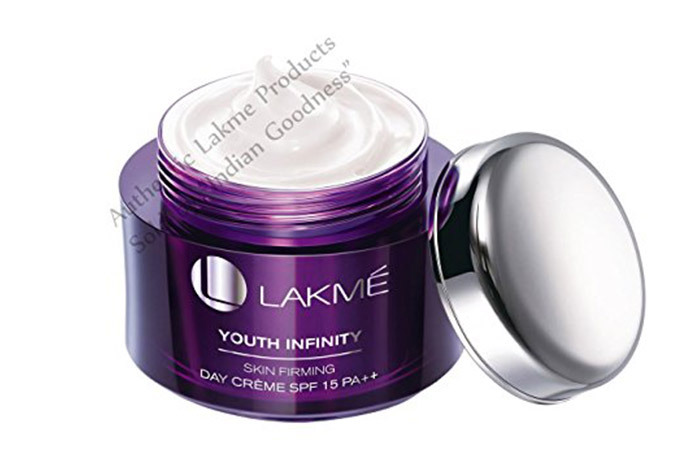 Lakme Absolute Youth Infinity Skin Firming Night Creme contains collagen boosters that tighten the skin and improve its elasticity. The cream has luminizing pearls that make your skin radiant. Apply it before you go to sleep for best results.You will wake up with soft, supple, and glowing skin. 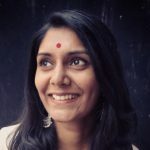 ShouldI take the advice of a dermatologist before choosing a neck firming cream? You could do that if you like. Otherwise, there are many over-the-counter neck firming creams that you can opt for keeping in mind your skin type. How often should use neck firming creams? Usually, it is recommended to use neck firming creams daily, either as a day cream or a night cream. The neck is the most aesthetic part of your head. It accentuates your face and must be given equal importance in your daily skincare regime. Over-the-counter neck firming products are your best bet because the neck area ages faster than the face. So, get your game up, and choose one from the list and use it before it gets too late.